I look at, with a certain amount of envy I admit, the great designs scrapbookers make with home die-cut machines. So often they look as if they could form a great basis for needlepoint. Until I saw this new article from Make I just couldn’t see a way to do this. Now I can. 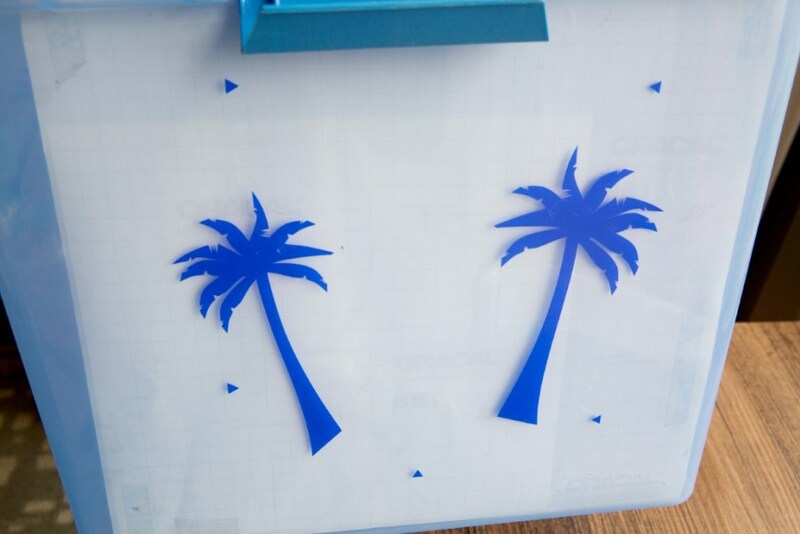 According to the article you can use decals made using the die-cut machine and heat transfer vinyl (HTV) to make designs that can be transferred to fabric, i.e. needlepoint canvas. You’ll have to be aware of some things though. Needlepoint canvas is more hole than thread. This means your image cannot be too detailed because those details will be lost. Look for silhouettes or designs with large areas. HTV will cover the needlepoint holes. Remember those “custom” T-shirt shops that let you choose the design and put it on the shirt right there? They used a similar process. It creates a sheet that is applied to the canvas. Often this sheet is very thin, but you will still need to poke through twitch your needle for every hole. Different brands may be easier to use or have thinner films. Be cautious about layering. Although this is am emphasis in the article, each layer of decal adds another layer of film. This can cause problems in needlepoint. Depending on your design and your brand of film, you may be able to get around this. I’m thinking this could be a fantastic way to create your own designs, especially if you own one of these machines. You could also customize these as you stitch, creating stripes or other patterns with your stitching. Not convinced? Think how much easier it would be to stitch something such as a Christmas light when a colored outline is there on the canvas for you. I just wish I had a friend who had one for me to try.